EL SEGUNDO, CA. 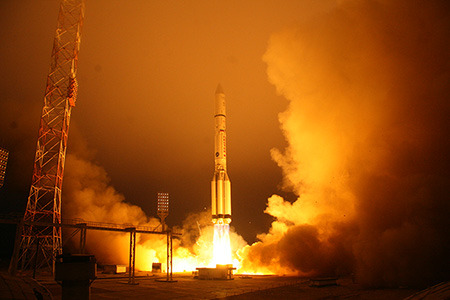 Boeing has launched their first Inmarsat-5 satellite, which sent its first signals from orbit. Boeing plans to establish the world’s first globally-available high-speed mobile broadband service for commercial and government use, called Global Xpress. 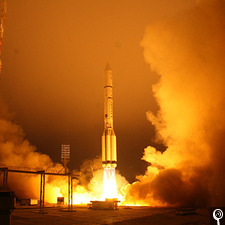 The Inmarsat-5 satellites are designed to provide in-flight connectivity for airline passengers, global mobile broadband communications for sea vessels, and streaming hi-res video, voice, and data. The future satellites, Inmarsat-5 F2 and F3 are currently in production in El Segundo, CA, and are scheduled for launch in 2014. Plans to build the fourth satellite have been approved. For more information, visit www.boeing.com.